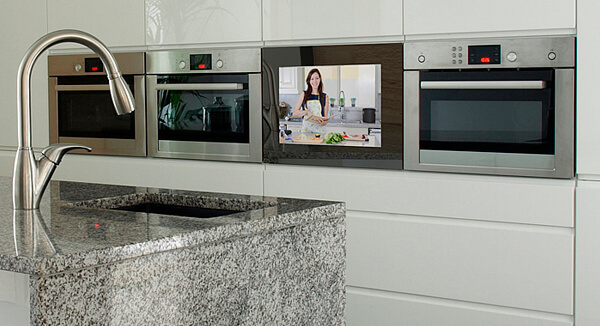 SMART VISION is the home entertainment, which is specially designed for you and adapted to your kitchen. It adapts flexibly and is configured according to your ideas and requirements. With a glass front, the LC display can be integrated into virtually any surface and is exactly built-in. 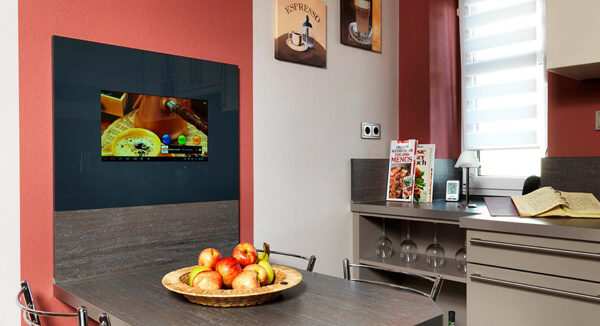 Enjoy high-definition television in combination with Internet and apps in your kitchen day. Design your kitchen surprisingly new with the SMART VISION compact modules. Individually designed for you and perfectly built-in. Include content from the Internet and HD TV in your kitchen day.